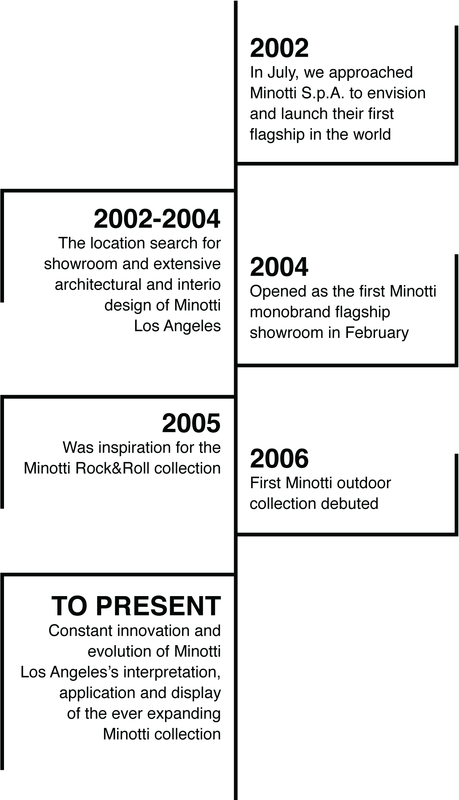 In 2004, Minotti Los Angeles debuted as the first monobrand Minotti flagship showroom. Founded by Mary Ta beginning in 2002, Minotti Los Angeles has been a leader in contemporary modern design. The inspiration for Minotti Los Angeles evolved from the founder’s love for design being a client for many years and drew her into the field as a design enthusiast. This experience provided direct insight into creating a platform that connects clients to inspiring, quality international collections. Mary Ta and team personally curate the furniture, accessories, lighting, rugs and art to create a multi-layered balance that perfectly reflects an evolving international interior design and architectural aesthetic. Minotti Los Angeles’ ethos is to provide dedicated and individualized customer care. Our team consists of experienced designers and a highly trained operations team to assist you in conceptualizing, designing and applying the collections into your space whether residential, commercial or hospitality. Minotti S.p.A. is an internationally renowned brand that has been a leader in Italian design for over 50 years. Each Minotti piece is carefully crafted to have the best aspects of design while maintaining outstanding quality to become essential additions in a lifestyle of luxury and comfort. 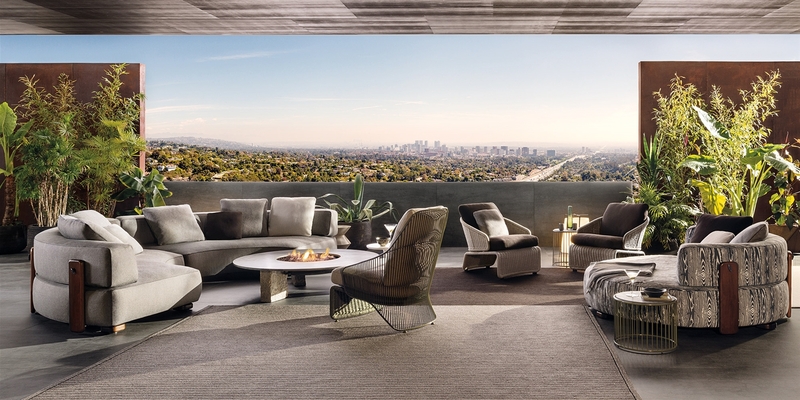 Minotti Los Angeles is located in the heart of the West Hollywood design district. We offer complimentary furniture design consultations to all clients with any purchase.